Out with the old and in with the new! 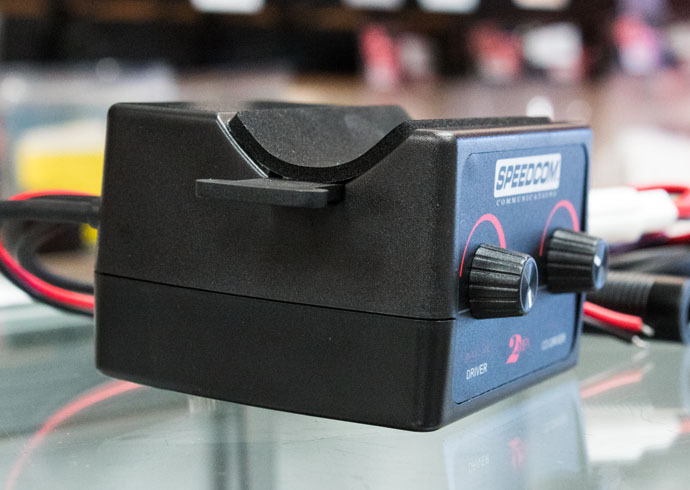 No more fuss over Racecom's Trac-Com vs Chatterbox's Tandem Pro II because the new 2MP-I Coaching Intercom by Speedcom has all of the benefits of both systems and few, if any, of the detriments. Let's get to know this new kid on the block and compare it to our older, more familiar systems. 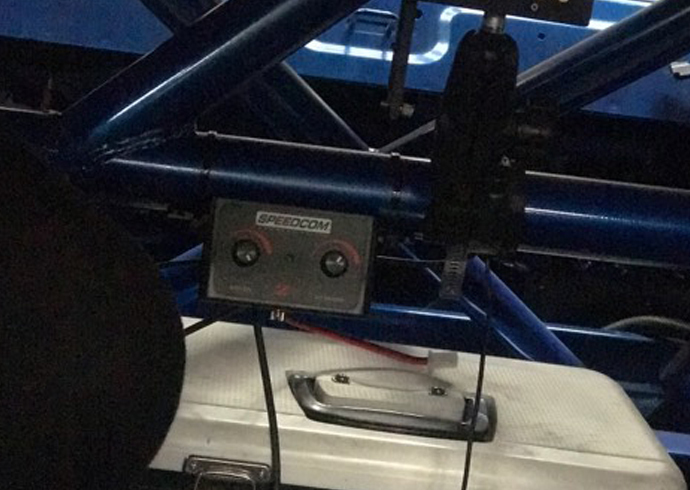 After reading our Racecom's Trac-Com vs. Chatterbox's Tandem Pro II review, many communicator and intercom-seeking customers brought up an intelligent question: It's 2018 and with all of the technology this world has to offer, why is the racing community still struggling to find a perfect, hiccup-free intercom system? Before these last few months, choosing a communicator was comparable to how 3rd world countries vote for their president - what is the lesser of the two evils? We can fit our entire lives on a pocket-sized cell phone, launch a Bowie-blasting Tesla into outer space, but we can’t make a durable and affordable communicator? It’s a radio for Pete’s sake! So why do the only options on the market seem to resemble Walkmans from the early 80's? Frustrated Tandem Pro II and content Trac-Com users finally got Speedcom’s attention. 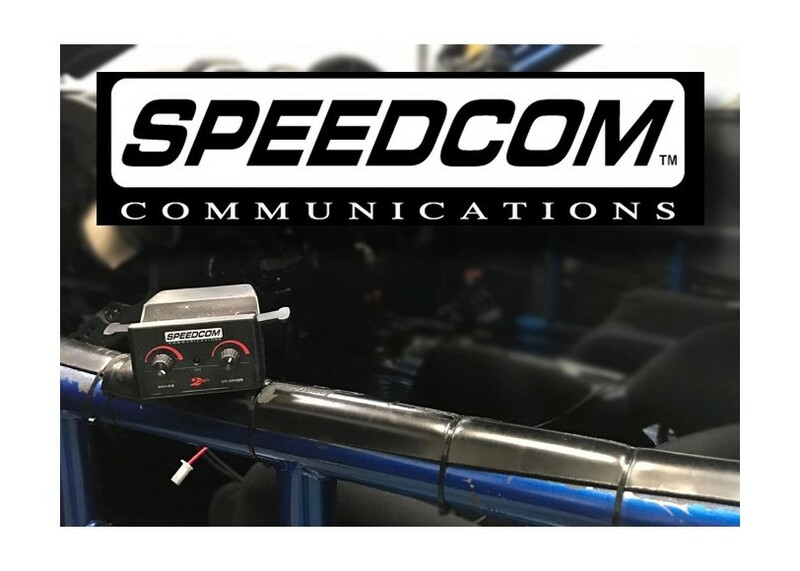 Speedcom made their move by combining what they believed to be the benefits of existing coaching intercom systems and cutting out the cons that are often cussed about in the pits. And though it's such a young item that there aren't many online sources available for research, we've turned to the best hands-on sources imaginable to test out this hot new intercom -- race car drivers! A couple of weeks ago, Bryan Leonard - professional Imsa race car driver - stopped by our Mobile Technology Center set up at Road Atlanta looking for a dependable coaching device. 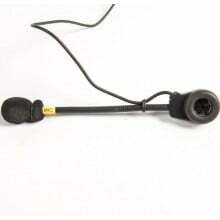 He purchased the Speedcom Two Person Intercom System and used it that weekend. Later we asked him to give us honest feedback on his latest purchase through DiscoveryParts. So what makes this intercom system more user friendly and why are racers and instructors suddenly praising it more than the past two most popular racing communicators? 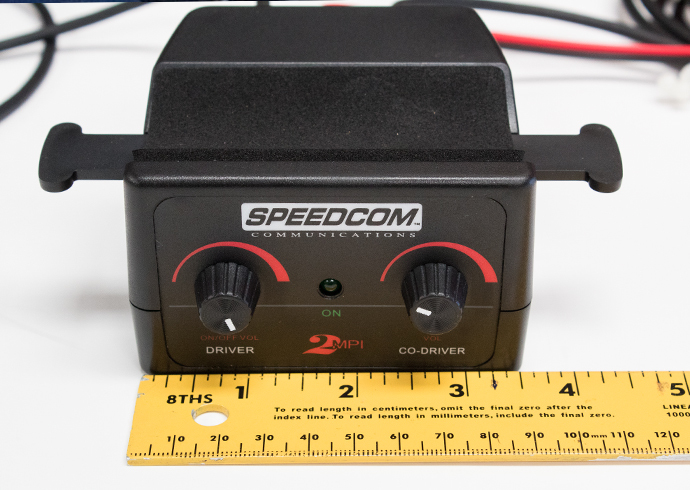 The main selling point, thus far, for the Speedcom 2MP-I is the power source. 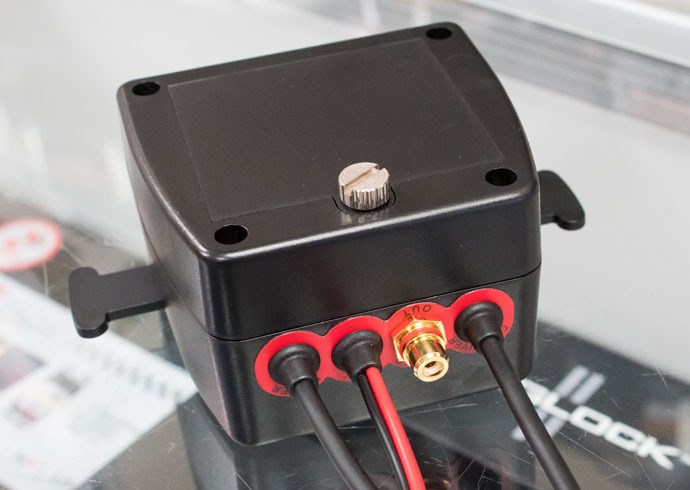 Like Leonard mentioned, it's the best of both worlds by offering a four AA battery power option or the option to be hooked up to your car's 12v system. This is a whole new playing field when compared to our Trac-Com's 9v battery and Tandem Pro's charger. Trackside, Chatterbox customers are often heard complaining about how they forgot to charge their communicator before a race or how they simply ran out of charge before the end of the day. Trac-Com held the lead for a while, but at times their customers were still left kicking themselves for forgetting to pick up a backup 9v. 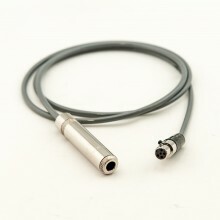 The second selling point of the 2MP-I is the budget friendly price, sitting right at $129.95 through discoveryparts.com. It's hard to believe that this system could have everything a racer could wish for and sit at a lower price than some of the other systems on the market. 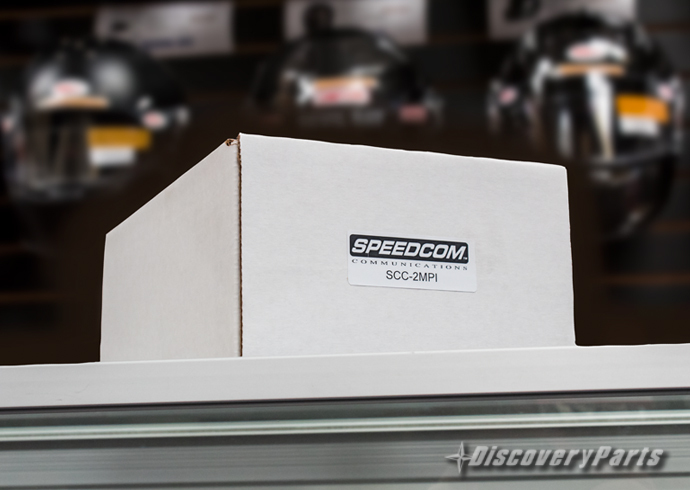 Speedcom's current packaging is similar to Trac-Com's. It's almost identical and just as satisfying to open. So far, there is nothing fancy about the packaging. It's simple and clean and purely functional. 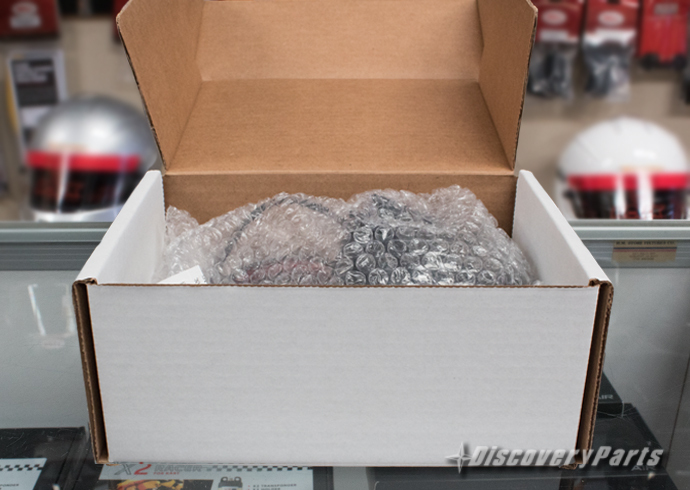 The 2MP-I comes wrapped in bubble wrap and encased in a thick, durable cardboard box. 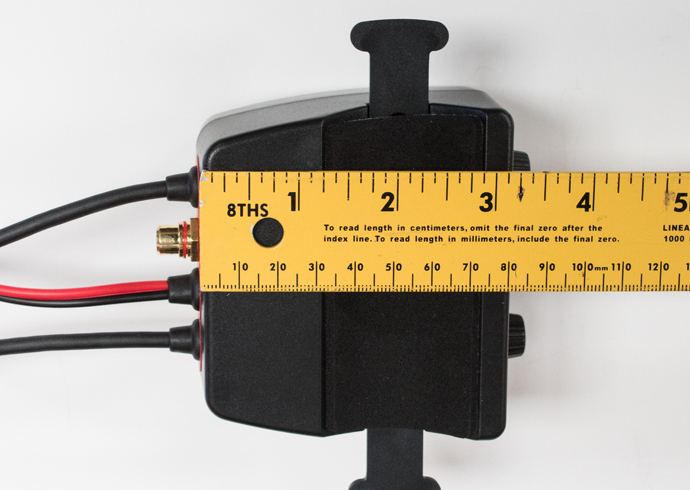 Once the box is opened and the device is out, it's obvious that the 2MP-I is larger than both the Chatterbox TP2 and the Racecom's Trac-Com. Ironically, this is another benefit of the 2MP-I rather than a disadvantage because it is purposefully and durably made to mount to the roll bar of a race car instead of your driver suit or helmet. There are integrated mounting brackets just for this purpose. This mounting location is better for the driver and all involved because it enables the device to be placed directly between driver and passenger and completely out of the way of the driver. Both the Tandem Pro II and the Trac-Com came with mounting clips (Chatterbox came with a plastic clip, Trac-Ccom with a heavy metal clip). Neither of those were hands-free, steadily mounted options like the Speedcom 2MP-I. 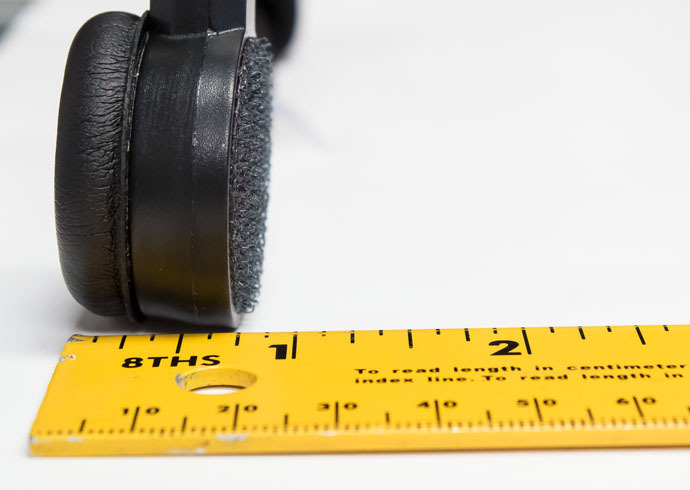 Here at DiscoveryParts, we always try to be as thorough as possible, so we took the pleasure of measuring this guy just so you'll know exactly what you're dealing with. The Speedcom 2MP-I system roughly measures 3.5 inches wide, 5.25 inches from ear to ear, and 3.25 inches long. The top of the 2MP-I system has been perfectly molded to mount to a roll bar and even has a layer of foam in the curvature for extra stability and protection. The battery compartment has a single but heavy-duty screw keeping it together, also for durability yet convenience at the track. This way you can quickly change out the batteries if need be. On the back where the cords connect to the system, there are four clearly written labels to eliminate any confusion. One complaint many Chatterbox Tandem Pro II users voiced was that it lacked the dual volume controls that the Trac-Com had. 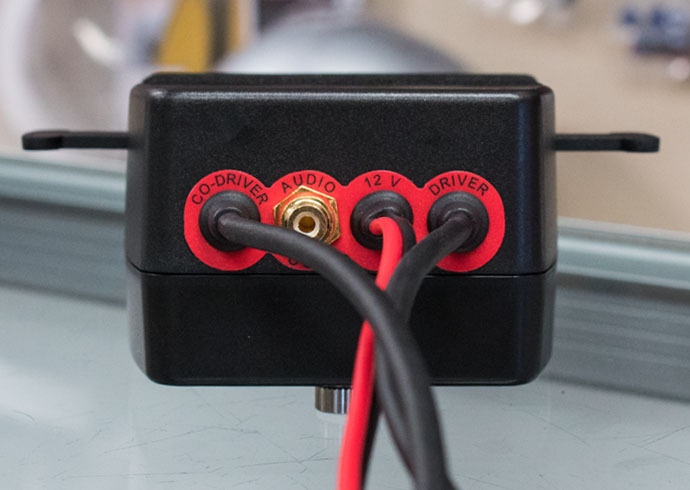 Speedcom brought this necessary feature over into the 2MP-I and even placed the control knobs on separate sides of the box so they couldn't be confused with one another. Volume Control: Racer feedback on the volume control of the 2MP-I is 100% positive. Not just the soft to loud range, but the volume control knobs are linear. Meaning, the volume is goes from 0 - 100% in equal increments. The Trac-Com is more sensitive on the higher scale than the lower scale (non-linear). There may be some hidden science why Trac-Com is not linear, but we do not know why. As you can see in the photo above, they label these volume controls as well. The remaining labels display other cool features that Speedcom included such as audio output for connecting to your AiM SmartyCam, GoPro or any other camera that has an audio input. 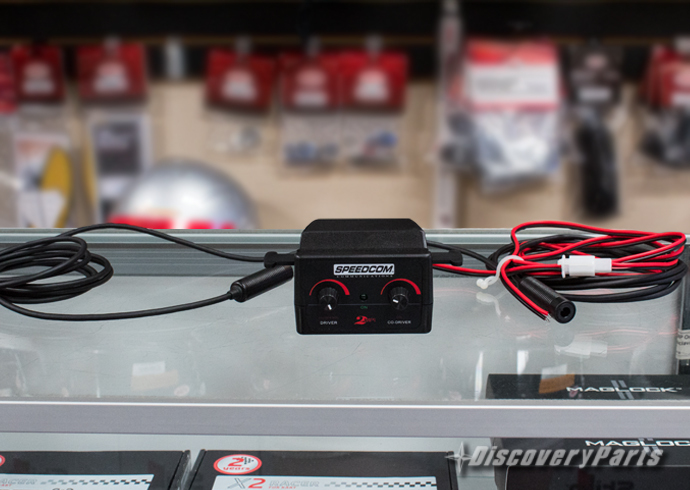 And for our drivers who will mount this in their personal car,the 12v power direct power option. For any communicator to work, headsets are needed and SpeedCom ups the game. If you look close to where the cable is attached, there is actually a molded block that keeps the cable from being pulled from the earpiece. This is our most rugged headset available. Period. According to common racing forums, and our Pro tester, the ear piece and mic on the Single Ear Intercom Headset are perfectly placed for comfort. The distance between the ear piece and mic is long enough for any helmet, yet easily adjustable. The flex-boom is sturdy so once it's adjusted, it stays put within the helmet. This is necessary for racers and track day junkies flying through corners managing g-force. 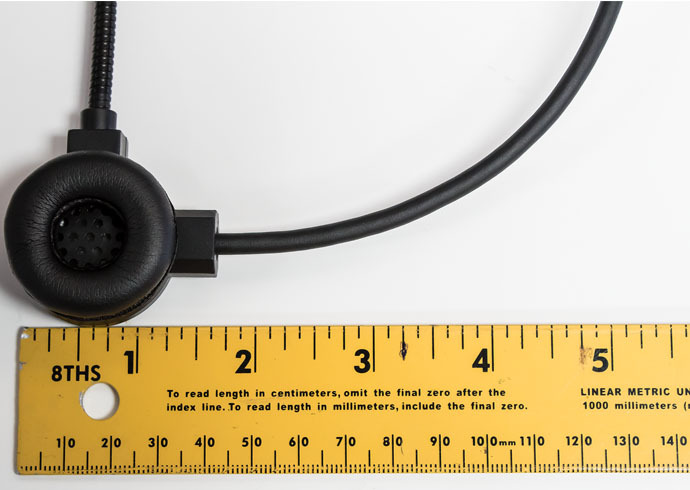 From ear piece to end of mic, the headset is 8.5 inches long. The ear piece itself measures relatively 1.5 inches. The ear piece is is about 6/8 inch thick. Perfect for covering the most open part of the user's ear comfortably without proving to be any trouble under a helmet. The ear cushion is soft, genuine leather to prevent chaffing or discomfort. 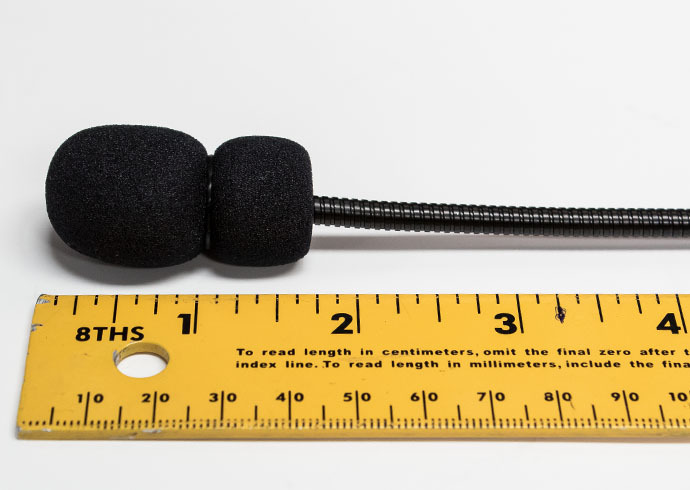 The foam covering the mic itself is about 1.5 inches long and 3/4 inch thick. 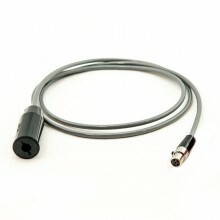 For complete spaciousness for driver and passenger, Speedcom made the cords on these bad boys long. The cords on the headsets are so long, I was struggling to measure them and photograph the process by myself. I had Mrs. Zappendorf hold one end of the headset and tape measure steady for accuracy. It measured out at almost 4 feet 9 inches long. 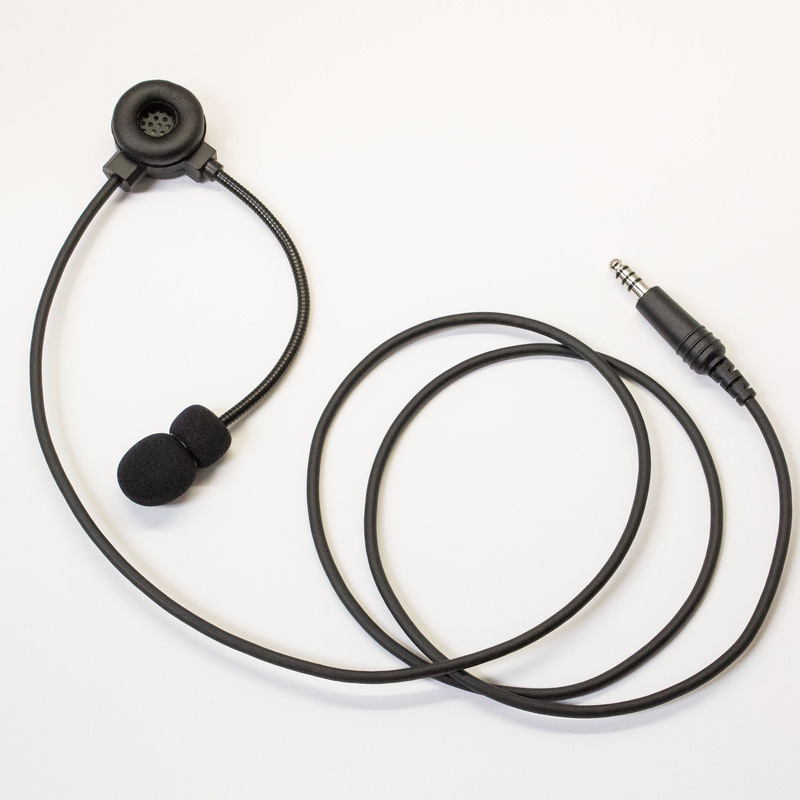 Not only are the single ear intercom headset cords extra long, the chords that extend from the back of the 2MP-I system and connect to the headsets are extra long as well. That's double the length of other communicators. In fact, the cords attached to the system were so long we had a really hard time getting all of it into one picture. 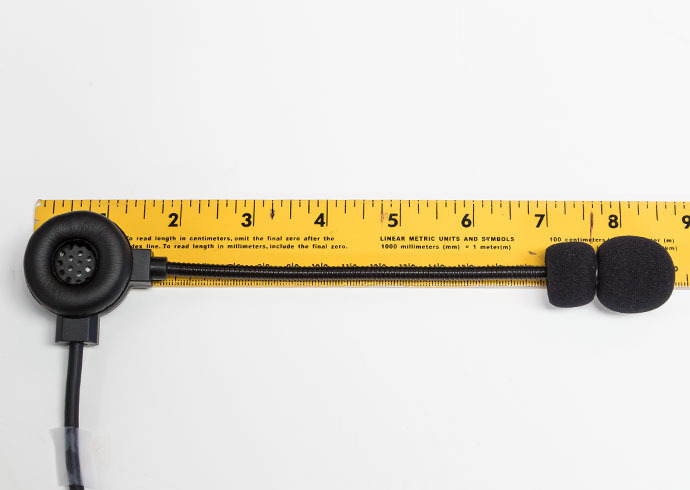 We decided the best way to show you how long these cords really are is to spread them across our showroom floor parallel with a measuring tape. 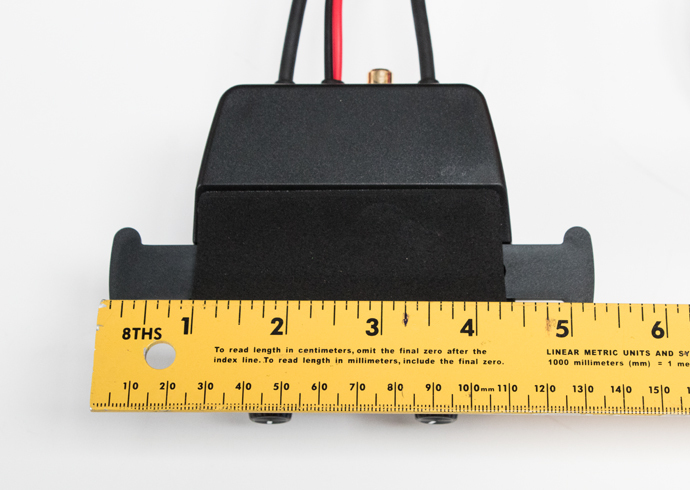 As seen above, the 2MP-I cord is more than 8 ft. long! That's over 12 foot of cord when connected to a headset for each person's complete freedom of movement while driving and riding. The power cord is around 6 ft. long. Chatterbox users, say so-long to your habit of jerking your cords loose from your system while driving. 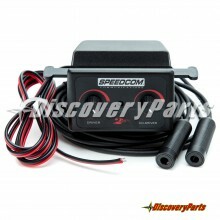 With Speedcom's 2MP-I, you and your codriver can break dance in your race car without the fear of coming unplugged. 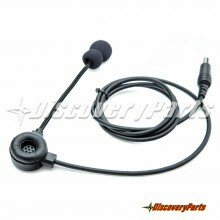 The single ear intercom headset costs $79.95 through DiscoveryParts and because you'll need a set of these for your system to work, your grand total comes to $289.90 for a complete 2MP-I set-up. 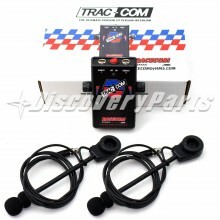 Chatterbox's Tandem Pro II set-up cost $134.99 and the Trac-Com set-up cost $284.95. Therefore, the Speedcom 2MP-I cost falls right into budget with the other two systems, but with the durability, clarity, and comfort of the Trac-Com and the convenience of the Tandem Pro II in one device - the 2MP-I. Winner Winner! Speedcom have really outdone themselves with the new 2MP-I communicator. It has all the features a racer could ask for and it is budget friendly. 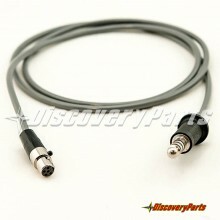 Next time you're looking to update your racing set-up, check out the Speedcom section of discoveryparts.com. If you're still unsure about what system is best for your race car, feel free to give us a call at 1-888-748-RACE (7223) and ask to speak with a racing safety expert.